Many of us are already beginning our Christmas shopping, making our lists and checking them twice, as-they-say, for our nearest and dearest. Christmas is a great opportunity to treat the man in your life to something special, whether you’re buying for a husband, partner, brother, or your dad. And we’ve put together some of the hottest gift ideas for men this Christmas. A watch is often the only accessory or piece of jewelry that a man will wear, with the exception of a wedding band. Watches are also the perfect accessory to give as a Christmas gift, with a range of different styles to choose from – dress watches, formal watches, chronograph watches, digital watches and even smartwatches are all very popular choices of gift around the festive season. A good-quality, designer watch can not only be an awesome gift, it’s also a great investment and something that the recipient can keep and use for years to come, or even pass down their family. Take a look at some of the dress watches on Watches.com. Technology has long been the cornerstone of many gift ideas for the guys in our lives (or from the guys in our lives) and with the sheer amount of products and innovations hitting the market these days it’s almost impossible to be the kind of guy who really has everything. From speakers and home cinema systems to laptops and an endless sea of smart watches and other high-tech gadgets, great technology gifts are available to suit a whole range of budgets, whether you can only afford to spend a little or plan to spend a lot. If you’re shopping for someone who has a deep appreciation for the immaterial things in life or maybe just way too much stuff, an experience day can be a wonderful idea. With experiences such as helicopter rides, supercar driving, skydiving, flight simulations and even lessons available to give to that special someone, it’s easy to find something he’s never done before. Try checking something off the bucket list! 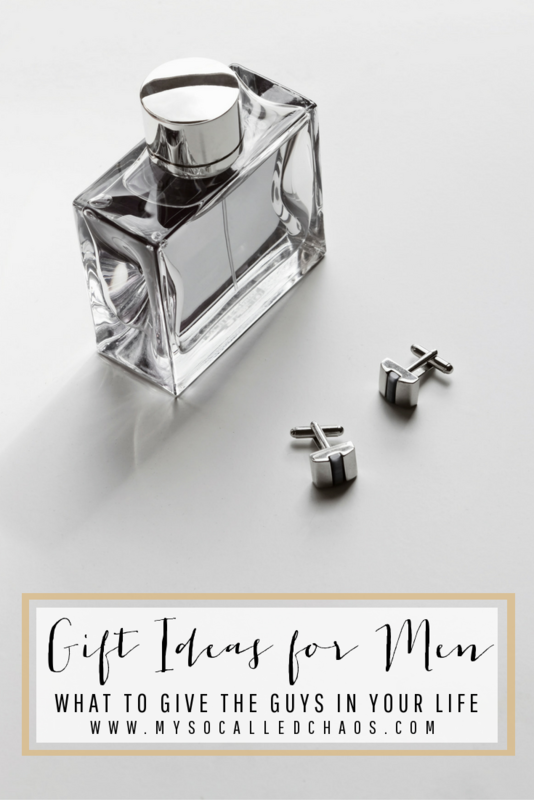 Fashion products can make excellent gifts, and if you’re looking for a great Christmas gift to buy for a special man in your life, you might want to consider purchasing clothing, accessories, or shoes. Investing in a pair of high-quality shoes, whether you’re purchasing dress shoes, casual shoes, or even trainers, is a great gift idea – something anyone can really get some mileage out of. When it comes to clothing, designer labels in both casual and dress clothing are often very popular as gift ideas. What are you getting the guys? Making sure that you buy the perfect gifts for your family and friends for Christmas often takes some careful thought and planning. If you’re looking for a great gift for a guy, there are plenty of awesome ideas that they’re sure to love.